July 31, 2017, 10:48 a.m.
By Christine Schmidt @newsbyschmidt July 31, 2017, 10:48 a.m. Seven months after launching its second newsletter product in a new city, WhereBy.us — a startup focused on being a parent company for local news organizations across the country — is gearing up for an expansion to three more cities this year and is inviting its members to become part of the company along the way. 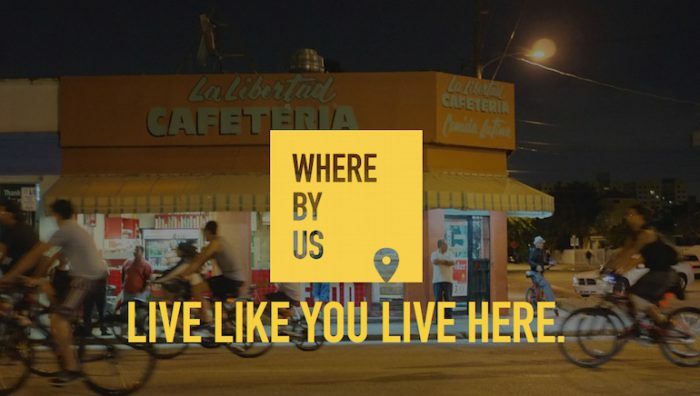 WhereBy.Us has made a name for itself in Miami and Seattle, where it has launched the first two iterations of its local news/community engagement model — The New Tropic and The Evergrey, respectively. The model focuses on a daily newsletter — 25 percent of The New Tropic’s 20,000 subscribers open it each day, and as do 40 percent of The Evergrey’s 4,000 subscribers — engagement events, and social media content to share with followers. It has $1.6 million in annualized revenue right now. The company started a second round of fundraising this year with a special option for local supporters who may not have the big bucks like angel investors. That’s the type of money they brought in during WhereBy.Us’s first round in 2016, for a total of $750,000. Options to invest in WhereBy.Us this time around start at $500 through its SeedInvest profile. Between its higher-level investors and SeedInvest contributors, they’ve already raised more than $50,000 in a month. This intention of inclusivity has guided WhereBy.us since its beginnings as an idea for a civic incubator. The concept was meant to connect urban-dwelling “curious locals” with civic engagement projects to build the future of cities, Sopher said. Now, WhereBy.us has kept the “community lens” at its core while building out the media and journalism aspect as a tool. 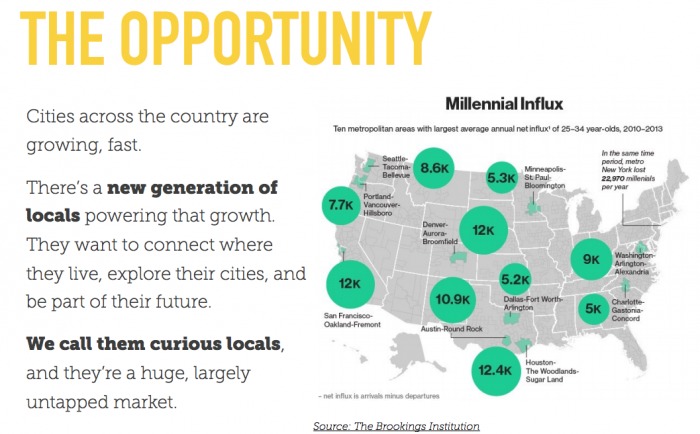 As former Nieman Lab writer Joseph Lichterman described at the time of The Evergrey’s launch last year, WhereBy.us is situating itself at the intersection of journalism trying to figure itself out and businesses trying to figure out how to reach younger consumers — who usually happen to be living in cities. In Miami, WhereBy.Us has built its business around reaching younger residents with both editorial and commercial products. About 80 percent of WhereBy.Us’s revenue comes from creative agency work that uses the company’s data, research, and expertise to understand the local market. Another 10 percent of revenue is generated through events, and the last 10 percent comes from membership and other sources. A few subscription-based products are in the works. The company makes no money from display advertising. Now, Sopher says 70 percent of their revenue comes from the creative agency, 20 percent comes from advertising in our newsletters, and 10 percent comes from membership. WhereBy.us has been aggressively building out its products, led by cofounder, coder, and former newsroom-dweller Rebekah Monson. Most of their products center around the two newsletters, since they’re the backbone of communication with their communities. Monson’s team developed a platform for organizations of all sizes desiring ad space in the newsletters to build their own promotions into the production workflow. And as part of a fellowship with the Reynolds Journalism Institute, they’re also working on analyses of user data and developing an open source set of tools for other publishers to “do a better job of understanding and making actionable user data as we build out our revenue models,” Monson explained. This funding round — which includes supporters beyond the SeedInvest profile, aims again at $750,000 and closes at the end of August — is one kind of feedback loop. Sopher and Monson said they were asked by followers of The New Tropic and The Evergrey how to contribute without being professional investors. Allowing audience members to become part of the company represented a greater investment, literally and figuratively, that smaller-scale crowdfunding platforms like Kickstarter or GoFundMe didn’t offer. As some people’s attachment to WhereBy.Us’s products grows deeper, Sopher and Monson are also hoping to grow broader. POSTED July 31, 2017, 10:48 a.m.
Schmidt, Christine. "With an eye toward expansion, WhereBy.us invites its community to help build it as a company." Nieman Journalism Lab. Nieman Foundation for Journalism at Harvard, 31 Jul. 2017. Web. 24 Apr. 2019. Schmidt, Christine. "With an eye toward expansion, WhereBy.us invites its community to help build it as a company." Nieman Journalism Lab. Last modified July 31, 2017. Accessed April 24, 2019. https://www.niemanlab.org/2017/07/with-an-eye-toward-expansion-whereby-us-invites-its-community-to-help-build-it-as-a-company/.